The controversy regarding Mass Effect 3's ending may be drawing to a close as Bioware steps up to please disappointed fans. Last month, the company had announced it would address the concerns of fans through a set of "game content initiatives". 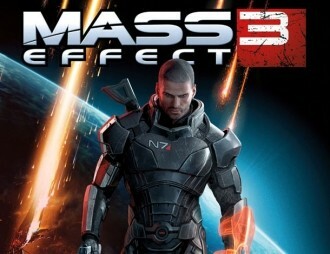 Bioware has now confirmed those initiatives will arrive in the form of a DLC pack billed as Mass Effect 3: Extended Cut. The game studio adds that the content pack will be completely free and that it will available this summer. An exact release date has yet to be determined. ME3:EC promises to give players more insight and additional context into the final days of Commander Shepard's journey. Bioware says it will be expanding upon the existing endings but will not create new or alternate finales, holding firmly to its original artistic vision. Bioware makes it clear that no further DLC is planned for the ending, beyond Extended Cut. Once again, the game studio stressed that ME3 received unusually superb critical reviews. What they leave out, of course, is the disparity between ratings given by critics and ratings given by players. On Metacritic, the game maintains a player score of 3.8/10 but hits 88% with critics -- even higher for console versions of the game. Although Bioware continues to stress how well-received ME3 was with critics, which seems like a backhanded way of belittling critical fans (ie. how dare you criticize our nearly perfect game), the game developer deserves a round of applause for taking its customers' input seriously and listening to their concerns. Kudos, Bioware.